Michael is principal and founder of MWBT and provides strategic, finance and operational support for FinTechs. He has held executive positions in several Atlanta based companies as CFO of Ingenico N.A., Worldpay US and Vesta Corp. Michael began his career at one of the leading financial institutions in Germany where he worked until 2000. 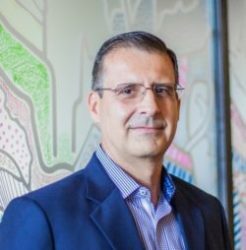 He serves as a board member of the Technology Association of Georgia FinTech Society and as Finance Director of P20. Michael holds an MBA and a PhD from Justus-Liebig-Universität Giessen and is a Certified Public Accountant.